As I am sure you are fully aware, with the incredible advances in technology in recent years, eSafety is an increasingly complex and important aspect of your child’s education and life in general in the 21st century. Of course, we do our utmost to ensure that your child is safe when using technology within our school setting. We have strict procedures and a high level of filtering to ensure that our children are not exposed to any unsuitable material etc. whilst at school. However, this will not be the case when they have access to a wide range of devices outside school, particularly when they move onto secondary school and beyond. Please click on the ‘eSafety Newsletters’ tab for the most recent eSafety Newsletters. Click on the link below to view our eSafety Policy. Please take a look at the following websites for further advice. A highly informative website detailing how to protect your child on-line. http://www.saferinternet.org.uk – Here you will find e-safety tips, advice and resources to help children and young people stay safe on the internet. http://www.childnet.com– An organisation working directly with children, parents and teachers to ensure that the issues of online child protection and the safe and positive use of the internet are addressed. http://www.thinkuknow.co.uk– The Child Exploitation and Online Protection (CEOP) Centre has set up its own website which has been designed and written specifically for children, young people, teachers, parents and carers. 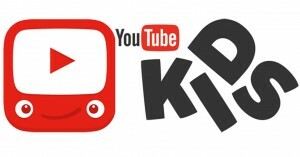 http://www.kidsmart.org.uk/– Kidsmart is an award winning internet safety website for parents and those working with children. It has been developed by the children’s internet charity Childnet International and has excellent information on many of the technologies used by children, with guidance on how to ‘stay safe’ online. http://www.bullying.co.uk– One in five young people have experienced bullying by text message or via email. This web site gives advice for children and parents on cyberbullying. http://www.childnet.com/young-people/secondary – This website is about the potential dangers with interactive services online like chat, IM, online games, email and on mobiles. It provides information, advice, true stories and games. The resource page also contains a number of links to other useful websites. http://parents.vodafone.com/– Being very accessible, this provides information and guidance to parents to help under the digital world. There is also an online test to see how much you know. http://www.internetmatters.org– Lots of guidance and articles for parents about keeping their children safe online. Digital technologies have become integral to modern life, both within and outside school. These technologies are powerful tools, which open up new opportunities for everyone. In addition, they can stimulate discussion, promote creativity and promote effective learning. However, young people have an entitlement to safe internet access at all times and it is essential that online behaviour is positive and safe. Below are a number of sources of information on safe use of new technology as well as advice on what to do in case of difficulty in your online life. Childnet International is a non-profit organisation working to help make the internet a safe place for children. The UK Safer Internet Centre provides e-safety tips, advice and resources to help children and young people stay safe on the internet. Click on the CEOP link to report any activity that has made your child feel uncomfortable. This link allows you to report suspicious individuals or behaviour directly to law enforcement quickly and easily. Each year at St. Joseph’s, we participate in ‘Safer Internet Day’, during which the boys and girls discuss the importance of ‘staying safe on-line’. The day offers the opportunity to highlight positive uses of technology and to explore the role we all play in helping to create a better and safer on-line community. It calls upon young people, parents, carers, teachers, social workers, law enforcement, companies, policymakers, and wider, to join together in helping to create a better internet. Click on the links below to find our more about ‘Safer Internet Day’!! You Tube have now created a You Tube Kids app that can be downloaded and filters a selection of videos and channels that are appropriate for children. Below is the link to website advertising the new app.